All hog casings come packed in salt and sealed in a vacuum pouch. All natural hog casings are graded by size in millimeters and are 100 yards in length. Each of bundle hog casings will produce approximately 100-125 pounds of sausage. 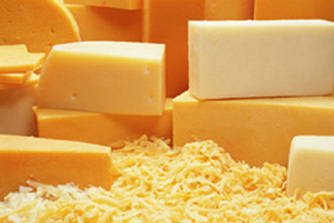 Any unused hog casing can be resalted and stored under refrigeration for over 1 year. Some hog casings are edible and some not. Select hog casings are the most common used natural casings. Hog casings stuff all types of pork sausage (Italian, Polish, Southern, etc.) from fresh to smoked. 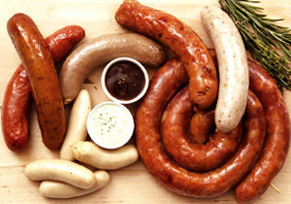 They range in size from 29mm(Bratwurst) to 45mm (large smoked Polish sausage). Each Bundle of hog casings stuffs about 100lbs. Hog bungs are used primarily for liver sausage and some Italian type dried sausage. They are 1-3/4" in diameter and 32" long. This casing is not edible! SOAK FOR 20 MINUTES IN LUKE WARM WATER.